For the first time in his 80-year history, Spirou is taken on an adventure by a German comics creator: Flix! Prepare yourselves for a whole new Spirou experience as our favorite bellboy travels to 1989 Berlin together with his BFFs Fantasio and Spip, to rescue the kidnapped Count of Champignac and to foil evil Zantafio’s diabolical scheme to take over East Germany. 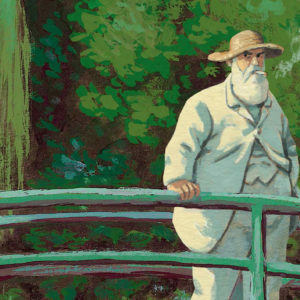 We asked Flix a few questions to find out more about him and his landmark work. What led you to the world of comics? How did you become a comics creator? It all started in a public library. I was about 6 years old and found a ton of comics there: Spirou, Asterix, Lucky Luke, Tintin, Snoopy, Benoît Brisefer, the classics. They were all there! I was instantly hooked and as, like all children, I loved to draw, it wasn’t long before I started to make up my own stories. And that hasn’t stopped to this day. How would you describe the comics scene in Germany? Comics in Germany aren’t as ubiquitous as they are in, say, France. It’s a rather niche genre in the market. But although the German comics scene is negligible, a lot has happened in the last ten years. Comics are being talked about more in the media, the number of publishers has grown, and there are more and more artists. Comics are being taken seriously in art schools and are increasingly becoming the subject of academic studies. 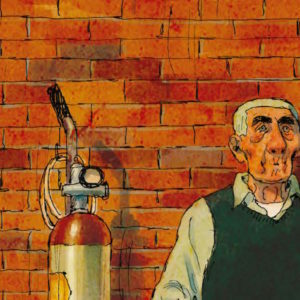 More and more German comics are being published abroad, German artists are being nominated for the Eisner Awards (Reinhard Kleist) and Angouleme awards (Ulli Lust). It isn’t easy to make a living from comics in Germany, but it’s possible. What does Spirou mean to you? Was it a character you grew up with or did you get to know him later on? Spirou is a comic book character who has been with me since I was a child. I read a lot of albums, loved the adventures, and of course was a big fan of Marsupilami. But when I was younger I didn’t realize that there were a number of artists who had worked on Spirou. I only came to understand this later. How did Spirou in Berlin come together? 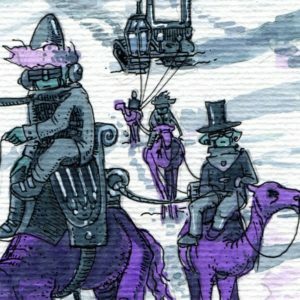 How did you come up with the story and what was the creative process like? Two years ago, an editor from Dupuis and another from Carlsen Verlag were sitting together and talking about Spirou’s forthcoming 80th birthday. As they were thinking about places Spirou and Fantasio had not yet traveled to, they landed on Germany, among others. 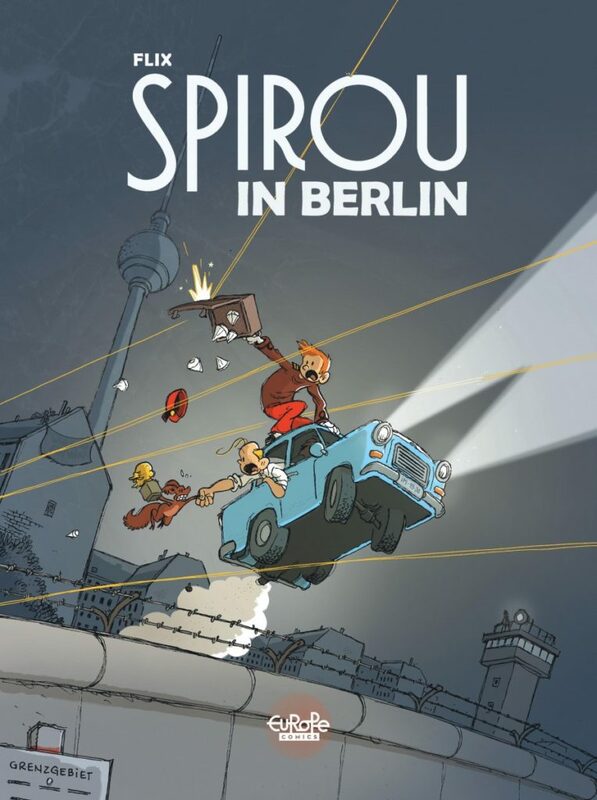 Germany was instantly associated with Berlin, and thus the title “Spirou in Berlin” was born. It sounded good. There could be a story there. 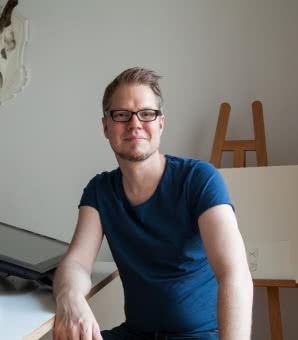 Then they had the idea that a Spirou adventure taking place in Berlin would be even better if an artist who lived in Berlin and was familiar with the city were to come up with the story. And as I’m a huge Spirou fan, live in Berlin, and have been drawing successful comics for Carlsen for years, they asked me whether I had any ideas for a story. And, of course, it came to me immediately. Spirou in Berlin is very rich in its variety of settings and characters. Which parts of this book were your favorite to draw? Which parts were more challenging? 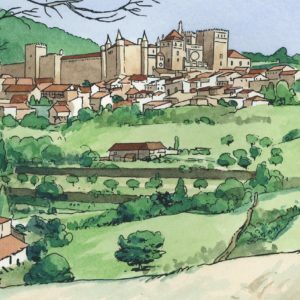 Getting to draw the classic Franquin universe—Champignac, the castle, the Turbot—was the most enjoyable part for me. It was a dream come true. The difficulty came in getting the GDR-era East Berlin right. I’ve been living in the city for 16 years and my mom was born here, but I was never in the GDR. So I did lots of research to make sure everything was reasonably accurate and to ensure it would feel authentic for readers who had grown up in the GDR. What projects are you working on now? If that’s not a secret of course! My current major project is still a secret, unfortunately. But it concerns another classic comic book character. 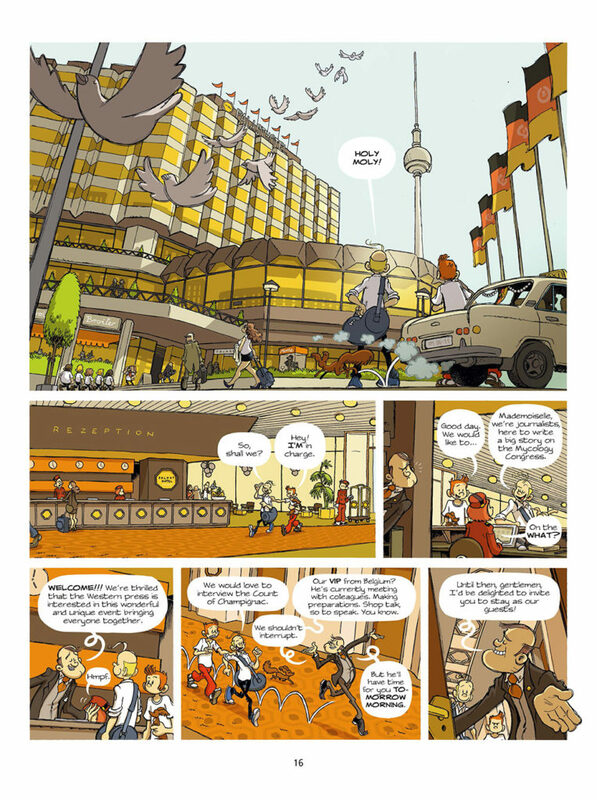 Spirou in Berlin is now available through Comixology, izneo, iBooks and other major e-tailers.